A badly decomposed body that was grotesquely pumped out of a Nevada septic tank has been identified as that of a Vietnam veteran with two medals for heroism who vanished 34 years ago, authorities said Thursday. A septic tank company was servicing a tank in the Virginia City Highlands area of Storey County, south of Reno, when parts of "what was very evidently a human body" emerged last August, Storey County Sheriff Gerald Antinoro said at a news conference. 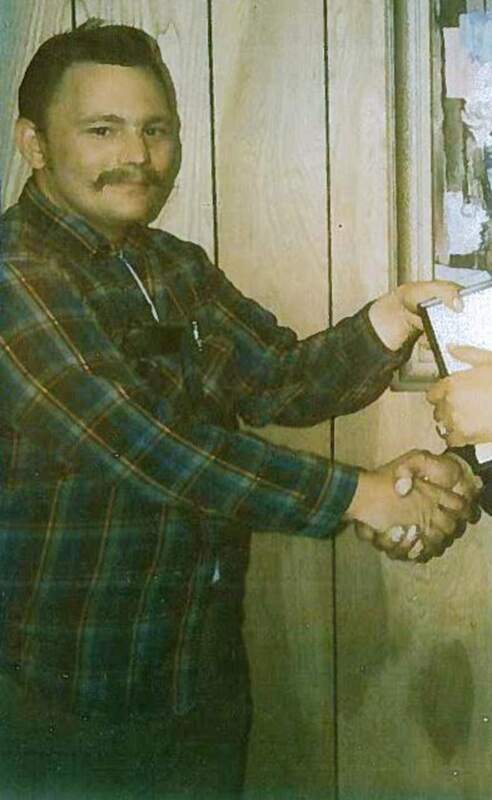 Recent DNA evidence from a relative confirmed that the body was that of George Benson Webster, who was 32 when he was reported missing in 1980, Washoe County Undersheriff Tim Kuzanek said. Kuzanek's department has primary jurisdiction because Sun Valley, where Webster is last known to have resided, is in Washoe County. Antinoro said the DNA evidence confirmed Webster's identity, which had been preliminarily established by a partial serial number on a medallion found with his body. Webster was most likely killed by blunt-force trauma to his skull, Antinoro said. "We knew this was a homicide since nobody innocently ends up in a septic tank," he said. Authorities were seeking anyone who may have known Webster or a second man, Calvin "Cowboy" Green, identified as a Sun Valley resident who knew Webster. Green has since died. Webster served with distinction in Vietnam, earning two Bronze Stars, the military's fourth-highest individual honor for bravery in a combat zone. Other details of his military career weren't immediately available. While Virginia City Highlands is now a bustling bedroom community, it was remote and sparsely populated in the early 1980s, Antinoro said, which would have made it easy for Webster's killer or killers to avoid detection as they dumped his body in the septic tank. The home where Webster was found was vacant in 1980, and its current owners aren't considered suspects, he said.